Ranelagh Harriers will be holding their annual inter-club race on Saturday 30th March at 3pm when we will be competing for the Ellis and Dysart trophies. 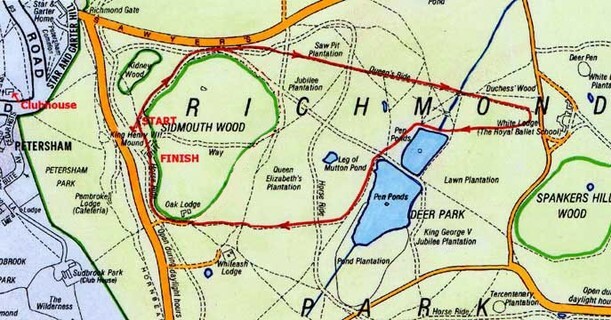 The race will be over 5.5 miles, 2 laps of their league course in Richmond Park. There is also a juniors race of 1 lap starting at the same time. Tea will be available in the Ranelagh clubhouse after the race. Please note that there is strictly no parking at the clubhouse and access to it is now via a footpath adjacent to the pub car park, not across the car park itself. Stragglers contacts Jon Parry and Helene Hill.